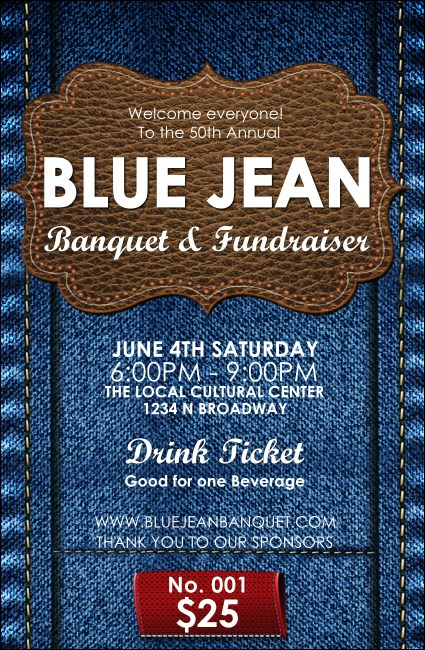 Add an extra layer of organization to your event planning when you distribute the Blue Jeans Drink Ticket at your function. This high resolution image of denim fabric is so sharp, you can almost feel it! Pass out this template at your benefit, fashion show, or retail clothing event.